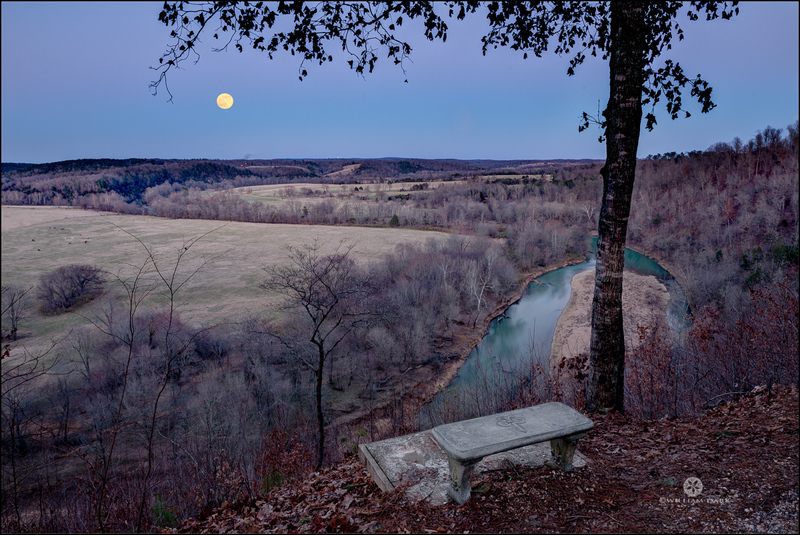 One of many scenic rural places to watch the moon rise over Arkansas. This particular shot was taken on March 20, 2019 - a spring solstice full supermoon; overlooking the War Eagle River. Photo © copyright by William Dark.